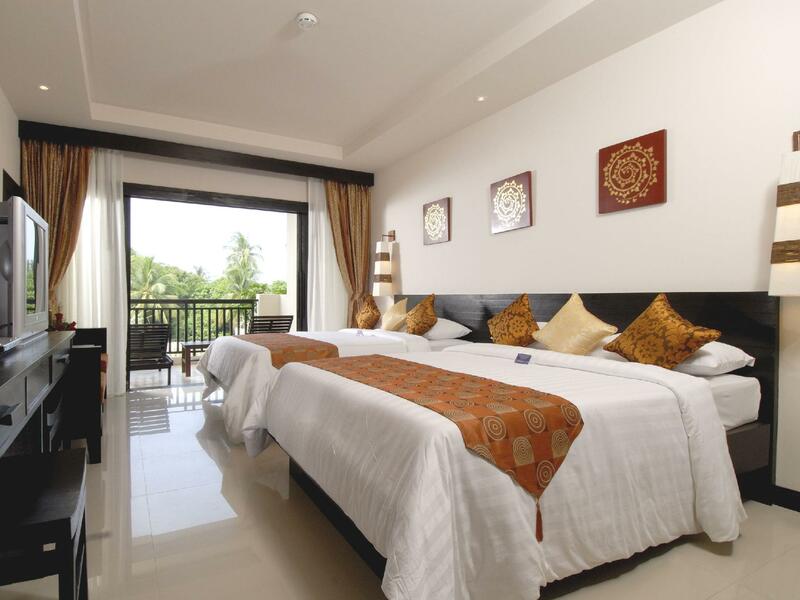 Phuket is pricey in high season for accomodation. The resort was nice set on top of a small hill near the lovely karon beach. 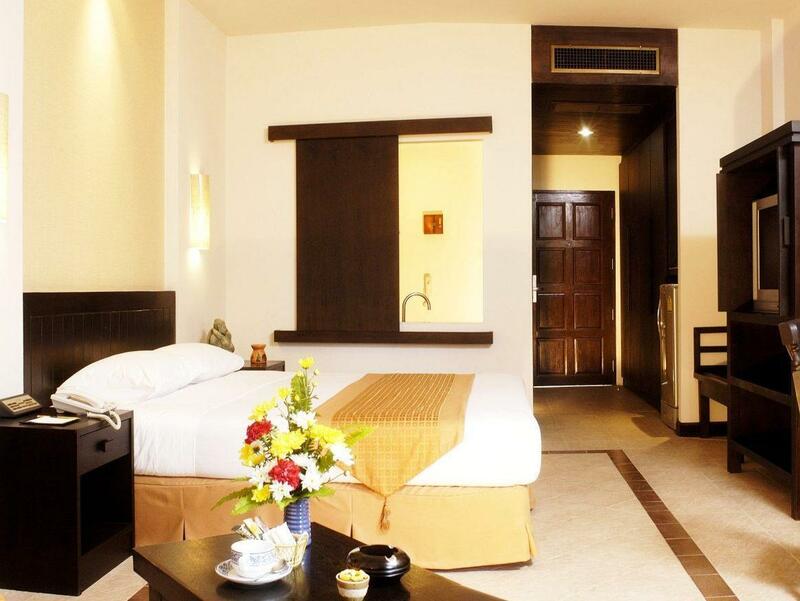 The rooms and facilities were clean and well maintained. The tour desk assistant , Art was pleasant to deal with and we found the young man at the front helpful with the baggage and transport and polite as with the front desk staff. This hotel is well suited to young families as the pools are lovely. We would consider staying here again if we were to return to karon, Phuket perhaps in a less busier time of year. Overall nice resort. Having trouble thinking of anything that was bad or not up to standard at this resort. I stayed in a poolside room in the privilege wing which is adults only. Very quiet and the little extras you get by adjusting in this wing are great. Staff couldn't be more helpful and friendly. My room was made-up every morning to a high standard. The food is good but after a week I found I was a little over it but plenty of nice restaurants nearby. The resort has a free shuttle into Patong and back about 5 times per day. My only criticism would be that there are quiet a few stairs and no lifts so if you have trouble walking you should request a room with minimal stair access. Definitely would go back. Beautiful garden with very nice pools. 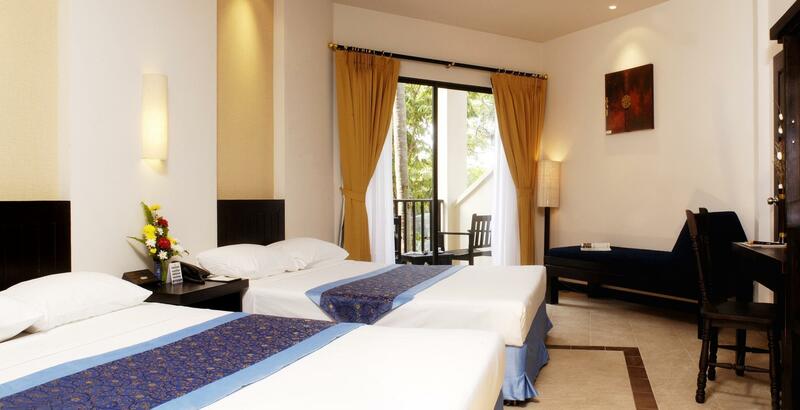 Spacious clean rooms, good breakfast. Staff was kind & helpful and did what they could to assist. 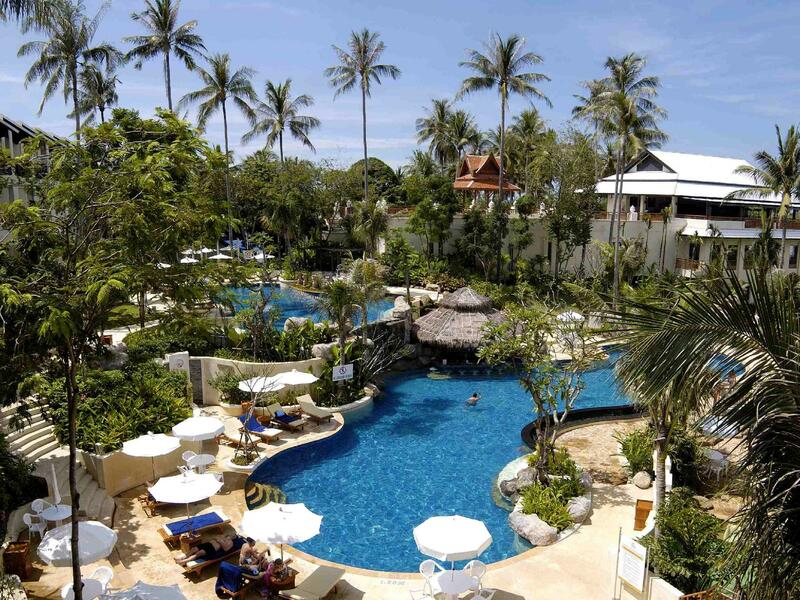 F&B prices are ok, nothing too bad for a Phuket resort. Great place for 4-5 days, we will go back. Beautiful hotel with everything just about perfect. Great room, great staff, lovely pool, excellent food (breakfast). Walk to the beach is a bit of a hill but free transport is quick and efficient. Public areas could be cleaner but rooms are immaculate. A very enjoyable stay . Thank you. 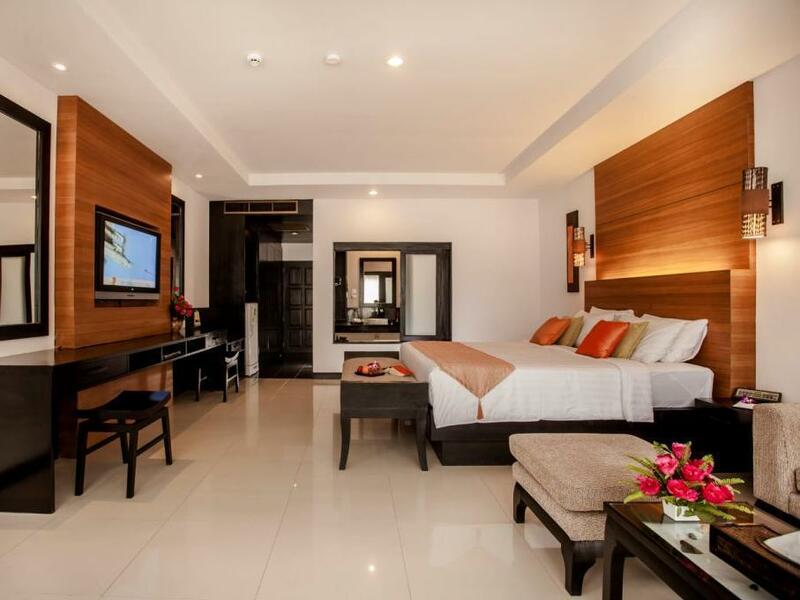 clean hotel with great facilities and services. the adults only part of the hotel is good for those who want a quieter stay and the complimentary snacks and drinks (12pm to 2pm) are a great perk! we were very happy with the hotel. beautiful resort, luxurious. get a club room for couples - great afternoon tea, nice pool, great pool bar. met some lovely people, staff were friendly and excellent. Pool girl Tak was so friendly. free shuttle bus to patong every few hours, great service. overall great stay. Staff very friendly, good facilities, room cleaness & privelidge club is good idea for relaxing. 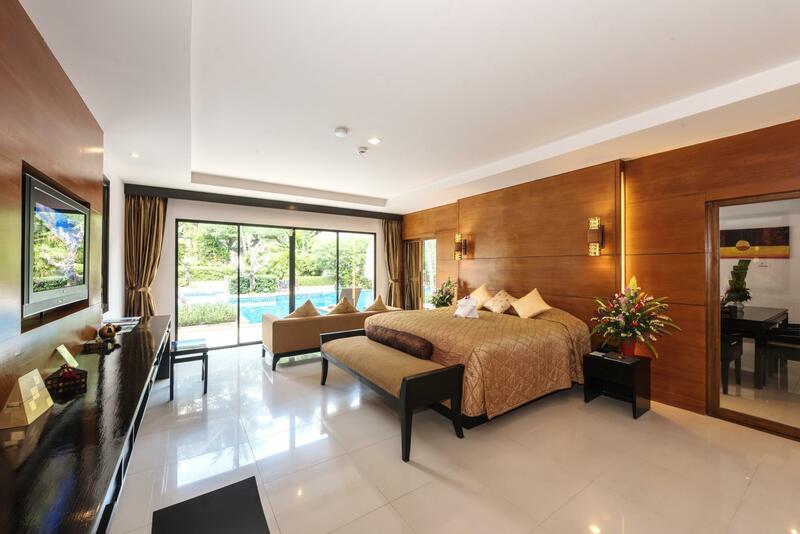 We loved very much to stayed from the first day walked in Horizon Karon Resort & Spa. We had great holiday especially upgraded to Club Wing. We appreciated all the friendly staff and facilities provide by the hotel. Highly recommend this place. Planning to stay for our next holiday. very pleasant stay. tuk tuk service was appreciated and 5 stars for service by all staff, from dining, to front desk, to room cleaners and concierge. privelidge business centre was excellent and convenient hours. Access to beach and facilities was also very handy. Enjoyed the stay. Great breakfast, Buffet dinners, Staff service. We stayed in the quieter wing of the hotel which had its own pool and lounge to relax in. The room was fine and kept clean and tidy but we did have mosquitoes flying around as we were at ground level. The bed was pretty hard. The hotel is really geared around service to its guests and the staff are great and so very attentive. If you like that, then this is the place for you. I enjoyed my stay here but overall I prefer a smaller less formal hotel. 10 out of 10 for the breakfast which has everything and more. The same can be said for the evening meal. There are always chefs at hand that will cook their special each night which is a nice touch. Be warned you will pay for all your drinks except tea and coffee in the evening but its still great value. My thanks to all the staff. I would recommend this resort to anyone visiting Phuket that wants to stay close to the beach, shops, restaurants... but don’t want to stay in the craziness of Patong. We had everything at our fingertips at the resort, and just a short walk from the resort are shops, mini marts, plenty of good food options. Situated between Karon and Kata beaches, it is an easy walk to either. There is a free shuttle to Patong and although the resort is situated up a hill, it is an easy walk up, or there is a tuk tuk service that can take you up or down. The food at the resort was amazing, everything you could want at the buffet breakfast and the one buffet dinner we had was delicious and prices for food and drinks are reasonable also. All staff and very friendly and helpful. Could not fault this hotel at all and my only regret is that I couldn’t stay longer!